My husband and I recently decided to turn our back yard to an oasis with the addition of an in-ground pool. As the backhoes moved in to break ground, scooping the earth into mounds of sun baked dirt that rival Mount Everest, I realized that the pool-building process has a lot in common with the road I’m walking…life. My life’s journey has been an adventure. As I approach the close of my fifty-first year, I realize how precious each moment has become. My daughter entered college three years ago and we’re in a period of countless transitions. The child I once drove to basketball practice and choir rehearsal now chauffeurs me. I have learned, depending on the day (sometimes even the hour), that I know nothing…and everything. My husband has retired (well…partially) and that has tremendously altered our daily routine. He’s become the chief cook and bottle washer while I trek off to my day job as an assistant principal at our local intermediate school. I hope to join him in partial retirement (I will always be a full-time writer at heart) within the next few years. Recently, a college friend of mine sent a photo that was snapped our sophomore year (1982). Looking at the photo, I thought my daughter was staring back at me. Was I ever that young, thin and…unwrinkled? My daughter took one glance at the picture and gasped, “Mama, is that really you?” as if I could have never—possibly—been that smiling young woman in the snapshot. And, after a good laugh, I thought about the passage of time and how happy and truly blessed I am to continue down the path that remains…under construction. So, when your life journey takes you through a period of transition that seems scary and unsure, remember that God is ever-faithful and never-changing. He is right there at your side, today and always. It’s Thursday and I’m thankful that The Maker loves me! Most of this entire week, direct evidence of God caring for me was revealed in so many wonderful ways! I knew that my post today had to be about this very topic and truth of how the Maker (God) loves me, you, and all of His creation—from the Evergreen trees and your favorite fruit, to you and me—the love of God for His children is beyond words. On the evening of Monday, Aug. 24, I received an e-mail message from Jennifer Slattery. She sent the message to remind me that my guest post for her blog was scheduled for this week Thursday (Aug. 27) and that she needed my post that day (Aug. 24). Now I was totally unprepared—or so I thought because I forgot—but then I remembered the idea that dropped into my mind as I was going to sleep the night before. Facebook “celebrity look-a-like” tests were on my mind because I’d seen a lot of those in the previous week and then the light bulb turned on (I got an idea): Why not write something about how we are made in God’s image? God is way better than a celebrity! So at exactly 12:51 a.m., I typed my thoughts into a notepad application in my phone. Here’s a snippet of what I typed: “People want to be like stars and so to resemble a star is to be connected to greatness but the God of the Universe made you in His image and He would move mountains just to connect with you! You resemble the Almighty God! It does not get any better than that!” Voila! I remembered this and so on Aug. 24 in the afternoon, about an hour after reading Jennifer’s e-mail, I went to work on writing the devotional about being made in God’s image and I finished within two hours! Would you like to read it? It was posted on Jennifer’s blog today. You can read it here. My second and final note of thankfulness happened today! I was shopping at one of my favorite stores for the perfect pair of shoes to wear to my brother’s wedding. I went to a store known for its great shoes at low prices first but the shoe(s) didn’t fit. So I visited one more store and found the perfect sandals! They are gorgeous! The “him” she was referring to was the sales attendant who stood nearby. I followed directions and long story short, left the shoe store with the perfect pair of sandals for my brother’s wedding! The sandals complement my dress so I am beyond elated! Wrapping up this Thankful Thursday post, I’d like for you to watch the official video for Chris August’s song, “The Maker.” I am head-over-heels in love with this song ever since hearing it for the first time, earlier this year! I believe when you listen to it, you’ll feel hugged by God because it’s about how much God loves you and will reveal His goodness to you because you are one of His children and He takes care of His own! Read Philippians 4:19. The beautiful images above are from the wedding of Tony and Bryana. The creative talent behind the camera who was responsible for capturing these captivating images is Katelyn James! She's a sweet person and smart business woman. 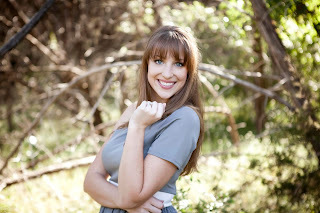 I am delighted to feature Katelyn and her photography on my blog today! 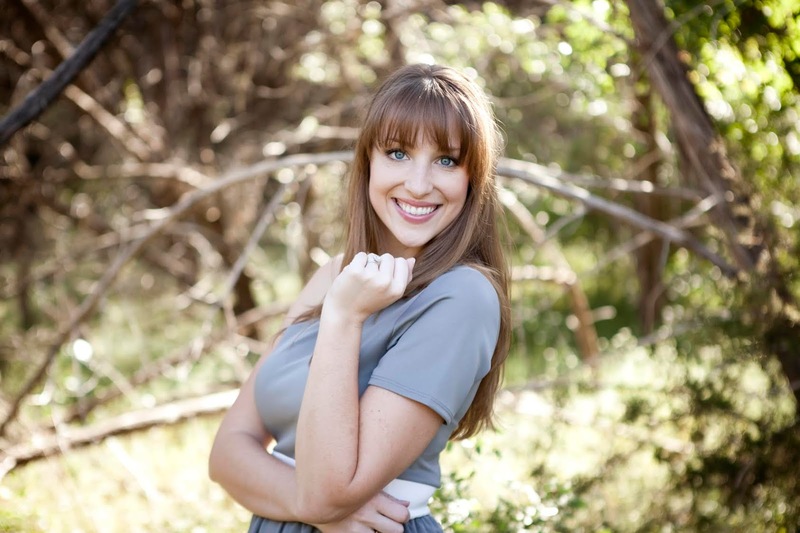 Katelyn started her photography business in 2008 and never stopped shooting! She's come a long way since her college days when her dorm room was the base for her photography business. After graduation, Katelyn continued her creative work and chased her dreams. Now, Katelyn and her husband Michael (they are a team) photograph an average of more than 30 weddings annually. When not shooting weddings, Katelyn keeps busy with more of her favorite creative endeavors: blogging, speaking and owning a shop. "My view of love has changed so much over the years. I recently watched a video that really encompassed all that I think love is. It was a video of a young engaged couple who got to see what they would look like 60 years from now and it was so amazing. I realized watching that video that my job is so important. I'm preserving memories in their purest form and that is such an honor!" Katelyn James started her professional photography career as a Junior in college and was shooting 25+ weddings annually within her second year. 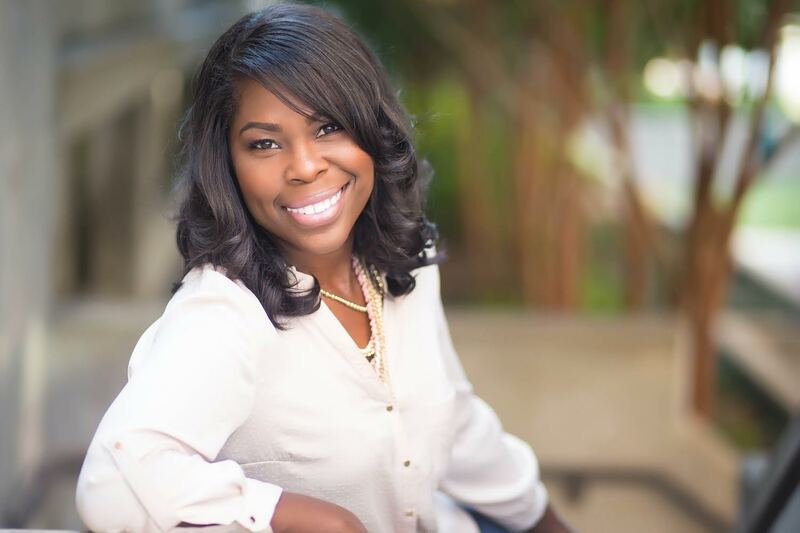 After growing her business and gaining recognition in national publications such as Professional Photographers Magazine, The Knot, Southern Living Weddings, Southern Weddings and Eco Weddings, she began teaching and coaching photographers from all over the country and internationally. Katelyn hosts workshops throughout the year and monthly coaching sessions at her home in Richmond, VA. Recently, Katelyn has been joined by her husband Michael and they are officially a husband/wife team. Since joining forces, Katelyn and Michael average 36 weddings annually. 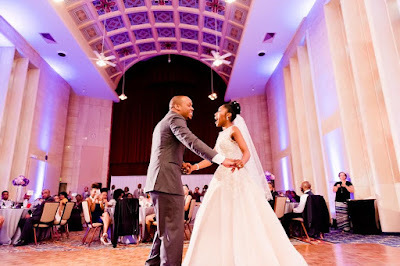 Their work has also been featured numerous times on national wedding blogs such as Real Simple, Style Me Pretty, Ruffled, Inspired by This, Grey Likes Weddings and Green Wedding Shoes. 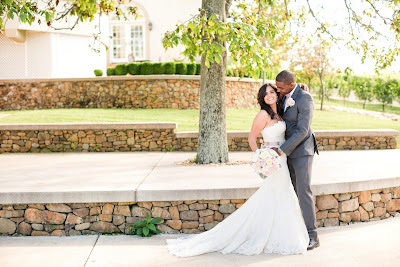 Terri is the principal photographer/owner of Terri Baskin Photography and as you can see from these two beautiful photos, Terri is a talented wedding photographer! 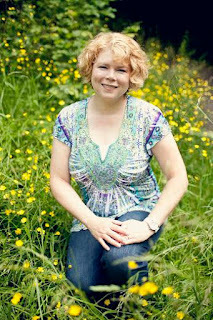 Welcome Terri to the blog today and feel free to connect with her through the links she provides at end of this post. Please leave a comment for Terri to share your thoughts on her guest post today. She'll be happy to hear from you! The moment they first lock eyes on the wedding day and the reaction that each one has towards one a other, whether it be a smile, a tear or a subtle laugh because the day they've been planning and praying for is actually happening or some inside joke that only they will ever know...those are the moments that remind me of why I love being a wedding photographer. Growing up with a father who spent his Saturdays photographing weddings, I remember being excited about two things when he returned home- the piece of wedding cake that he brought me and the pictures that developed in his in-home dark room! However, being around a successful marriage by having two loving parents at home helped me to understand that it's not always easy to blend two lives into one and make it work but the beauty of wedding photography is that even during the toughest moments, a couple’s wedding photographs can remind them to fight through the tough times and return to the happiest ones. The ultimate love story, in my opinion, is to remember why you started and never give up! My goal as a wedding photographer is to document those fleeting moments during a wedding day that the couple themselves may have not even realized had taken place. When a couple looks at their wedding images, I want them to remember their day all over again. I want them to reminisce on the happy moments, reflect on the moments that brought them to tears, and share with one another what they were thinking as the day began to unfold. While I’m never present during this conversation, I ensure that when I curate and deliver a couple’s wedding images that the photos themselves can initiate this type of conversation. Tinita: Love is a word that was once quite easy for me to describe. Prior to getting married, it simply meant family, smiles, laughter, comfort, and deep affection. It meant having someone that I could depend on and trusting that someone would always be in my corner. Yet, now, after marrying my husband, the word that once was so easily categorized has become something much more difficult to define. Today, the word love embodies many things; namely, God and Jerrod. The love that I associate with God is wholly indescribable, and similarly, the love that I hold for Jerrod is difficult to capture into words. Yet, when I think of the deep love that binds my marriage, I realize that it goes beyond laughter and smiles, comfort and affection. Our love is patient, kind, does not envy, does not boast, is not proud, does not dishonor others, is not selfish, is slow to anger, keeps (almost!) no record of wrongs, does not delight in evil, protects, trusts, hopes, and perseveres (I Cor. 13:4-7). 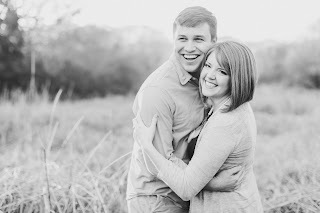 Our love is biblical and heaven sent, as is my husband, in whom I have all confidence. Because we both acknowledge that our collective mission is to fulfill our God-given purpose through the ministry of our marriage, we are powerful, and our love is our strongest weapon. Jerrod: I have always believed spousal love was purely the final stage of an emotion two individuals felt for one another. The emotion grew into love based on the amount of commonalities, attraction, intimate communication, shared experiences and duration of time spent together. Having never experienced spousal love, my belief was formed from watching movies, reading books, hearing others describe why they loved someone, and the like. After being married for just over two months, I have learned love is much more than an emotion. Love is complicated, love is sacrifice, a new experience and most importantly, love is an action. Love is sacrificing your wants to make your spouse happy, putting your spouse’s needs before yours, studying your spouse to know her wants before she knows her wants, being consistent in all that you do, and love is communicated on a daily basis. Although there are many facets to love and definitions of love, the best way to sum up love is to say, outside of Christ, spousal love is the best thing a man has the privilege of experiencing. Photography is how I creatively express my clients' love story...It gives me the chance to document your "Day One" as husband and wife and create images that may be cherished by a couple for years to come! My love affair with the camera unknowingly happened when I was about 8 years old when my dad gave me a 110mm camera to document life through my young eyes. It was also my dad that came to my first year of weddings to make sure I documented authentic moments as they unfolded. Fast forward to today, photography is my stamp that tells the world that on this particular day and at this particular time this is where we were, who we were and what we were doing. We grow, we age, and we change- it's inevitable, but when you look at a photo that I've taken I want it to be your visual reminder of how you looked and felt at that specific moment in time. 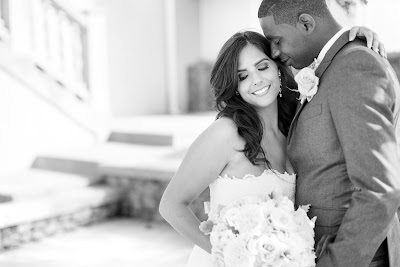 I create timeless, romantic and modern photos for the fun couples in love! I am based in Virginia, but I love to travel! Contact me today to discuss your BIG day! Terri's photography is featured in the following publications: Style Me Pretty, Munaluchi Bridal, The Knot, BuzzFeed, The Washingtonian Bridal Blog, and Every Last Detail! Every wedding day is different. Yes, they all have a ceremony, they all have flowers, they all have some kind of cake. But love is present in different ways at each wedding. Sometimes it's in the dedicated hard work friends and family put into the weeks leading up to the wedding day. Sometimes it's in the whispered moments in the dressing room or on the dance floor. Sometimes it’s in the quick hug goodbye before the newlyweds drive off into the sunset. Love is always present in the smiles and tears of everyone involved. It's always in the hand holding between parents as they watch their baby wed the love of their life. It's always in the way the bride and groom's faces light up when they finally get to see each other. It’s always in the sweet words spoken by maid of honor and the best man. I don't always get the chance to get to know the bride and groom very well before their wedding day, but it's always very easy to see how well loved they are by their friends and family. When I see that, I get overwhelmed with happiness for them. That makes my job so incredibly easy. That makes me love my job even more than I already do. Love on my wedding day abounded in so many sights and sounds. I saw the love on my husband-to-be's face during our first look—the sweet unfurling of his smile, the way his eyes lit up as they took me in. I saw the love of my family and friends when I walked down the aisle—all eyes on me, the realization that everyone came here for us wanting to share in our joy with laughter and tears. I saw the love in our pastor's beaming grin—the knowing look of someone who'd watched us “grow up" before his eyes. Above all, the love of Jesus Christ surrounded us: hearing the various Scripture readings, the special music, and our pastor's loving, tailored-to-us sermon stirred up so many emotions in my heart, many of which welled up in my eyes. Now, on the other side of my wedding day, love reveals itself in so many new, small yet profound gestures. Love is when my husband cooks me breakfast even when I am being an emotionally dysfunctional basket case (which is more often than I would like). Love is when I open up my lunch box and find my meals already packed into individual servings (because my husband knows I need the help). Love is this commitment my husband lives out every day to have and to hold me, for better and for worse. Without Jesus, the love between Daniel and me wouldn't be possible, and with every passing day, I learn more about what it means to love and to be loved. Married life has been filled with many firsts and ups and downs, but we wouldn’t have it any other way. When I look back to our wedding day, love for me was about the future: the excitement of anticipating. Of course, I have known from day one that I loved her, but weddings are forward-looking by their very nature. Friends and family came from all over the country to see us begin our journey together; we made promises to each other and before God; and we stored away as many memories and photos as possible. Months of planning came together to celebrate the future we were yet to have. Now, love is here in the everyday, woven into the variations the daily grind produces. Sure, we still look forward to spending the rest of our life together…but I get more satisfaction from realizing that we are spending our lives together now. There’s something beautiful about being able to love each other day in and day out as we imperfectly imitate Christ. The commitment of marriage gives us the freedom to accept each other, mistakes and all, and to bless each other daily in little ways from meal planning to going on simple dates. Maybe it’s not as “romantic” as our wedding, but I treasure this everyday companionship. 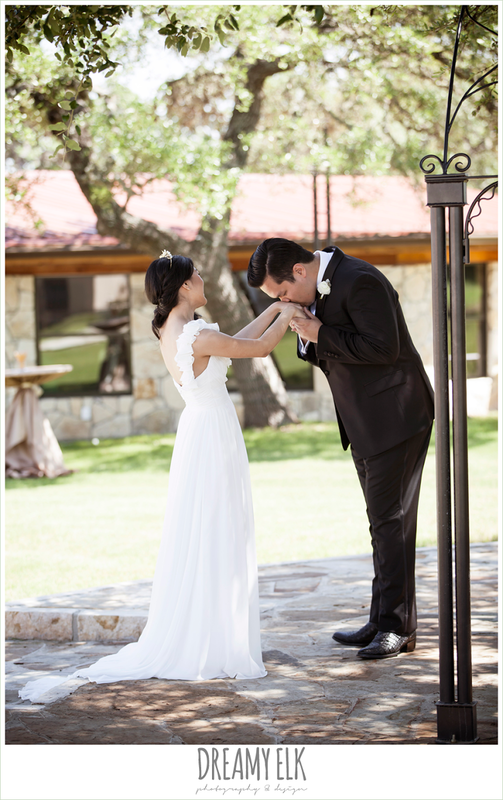 Emily is a wedding photographer based out of Austin, Texas. She’s been in the wedding industry for seven years. She is forever grateful to clients for trusting her with their special day, to her friends and family for their love and support and to God for bringing her the sweetest couples to work with. Emily loves design, the color wheel, Dr. Pepper, musicals, fancy dresses, DIY projects, her husband and Jesus, although not necessarily in that order. GOD and His Son Jesus Christ thought YOU were worth dying for! So he made a way for you to be saved! Read all about it in John 3:16. Why did He do it? Because He thought YOU are worth keeping! He wants you to be FREE (Revelation 1:5) and experience the abundant life (John 10:10). I hope this song by Anthony Brown and Group Therapy encourages you as much as it has inspired me. It's Thursday and I'm thankful for my renewed thoughts on prayer. I was there, at that point earlier this week and decided to call a Christian prayer line. She got me with those words and I paused. My mind swirled, my emotions raged and finally after like five seconds I realized that not praying about this situation was not a good idea. “Well I still want someone to pray for me,” I finally said. Have you ever been there? So deep in a dire situation that you felt like all hope was lost? Sinking so low that you don’t see the point of praying anymore? What’s the point of praying to God to fix a troubled situation if He’s not going to answer your prayers? Especially if it is a situation you’ve taken before the Lord for many years, if not decades? Oh, but don’t you know? Hope is always part of the picture when you believe in God and trust Him with the outcome. We may not always understand God’s methods but we can trust His heart. God wants what is best for us and He always hears our prayers, every single last one. Rest assured, God has not forgotten. He’s not ignoring you (Isaiah 65:24). He’ll never leave or forsake you (Hebrews 13:5) and He’s working it all out for the good of those who love Him (Romans 8:28). I believe this to be true because I’ve seen God move in my life and work miracles before, so I trust Him to answer my prayers according to His will. Meanwhile, I know God will give me peace in the process. There’s a beautiful song performed by Annie Herring. “The Master’s Hand” is the title of song that I want to share with you tonight. This song is a source of encouragement for me and I’ve played it on repeat for the past week. How I found it must be by God’s grace because before two weeks ago, I’d never heard of Annie Herring. But I am so glad that I know her work now. See how God moves? He’s watching out for you even before you know you need Him. He did this for me two weeks ago when I first heard “The Master’s Hand.” God knew I’d need this song this week so He led me to it. My soul is soothed by the beautiful message about holding onto the Master’s Hand. Annie is talking about God as the Master who holds your hand through every difficult situation in life. The song is about being able to endure whatever comes your way because you are in good hands—the Master’s Hands. I hope you were encouraged my thoughts on prayer and I hope the sweet sound and lovely lyrics along with Annie’s soothing voice will encourage you to keep praying, keep trusting, keep believing in God. 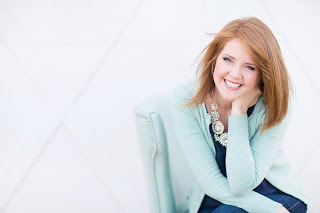 Let's welcome a familiar face back to the blog today: Kimberly Rose Johnson! She's visiting today to celebrate the release of Island Dreams, her second book in the Wildflower B&B Romance series! Today is the release date so you can buy it on Amazon.com tonight if you wish! 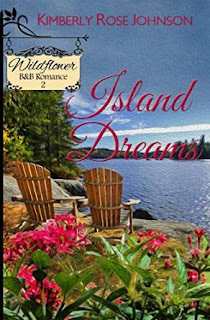 Alexis: What inspired you to write Island Dreams, the second story in your Wildflower B&B Romance Series? Kimberly: Honestly, there was nothing in particular like there was with Island Refuge. I knew I wanted to write a series, so brainstormed with my husband. We came up with the premise for the story together. Piper Hunt is the leading lady in your book Island Dreams. She has quite a cute name! How did you create it? Tell us what makes Piper beautiful. What motivates Piper? Why does she find herself on Wildflower Island? I’m so glad you asked about Piper’s name. It’s the not first time I’ve used it, but that manuscript was never published. I LOVE this name and knew I wanted to use it. I first learned of the name from TV. An actress who I like is named Piper. Then I met a lady on Twitter named Piper and told her someday I would give a character that name. Piper is not beautiful in the classic sense of the word, but on the inside she is. She loves her family, even though they sometimes hurt and frustrate her. She cares about people and nature and she is an all around nice person. LOL that being said, she has her moments. Piper is motivated to succeed because she feels like she has something to prove. She ends up on Wildflower Island because her family owns a great deal of property there. Her dad owns a development company and he has decided after holding onto the property for 35 years, it’s time to develop it. In your book summary, you noted that Piper is trying to prove her worth to her father. Why? Share the backstory. Piper’s dad is a workaholic and the only way she knows to be a part of his life is to follow in his footsteps, but when she makes a couple critical errors, her dad doubts her. She wants to prove she is a valuable asset to the family company and not a liability. Chase Grayson is your leading man and with a name like that he must be hot. Am I right? Describe Chase’s looks, character, motivation, flaws and strengths. Yes, Chase is a good looking man. He’s tall, muscled and an outdoorsy kind of guy. He’s a landscape architect and likes to get his hands dirty too. So it’s not unusual to see him working side-by-side with his workers on the job. Chase loves the peace and quiet of the island. He doesn’t want to see the feel of the island change and Piper’s plan threatens to destroy the place he loves most—Wildflower Island. He’s a stubborn and passionate man, but he admits when he’s wrong. What is it about Chase that makes Piper angry? And what is it about him that makes her heart melt? The thing that bothers Piper most about Chase is that he tries to stop her from doing her job. At the same time she likes him because he’s genuinely a nice guy and in spite of not supporting her plan, he tires to see things from her perspective. Why does Chase live on Wildflower Island? What does he love most about it? Is there anything about the island that he does not like? Chase lives on the island because he craves peace and quiet. It’s his escape from city life. I know I sound redundant, but what he loves the most is the peace and quiet. The island has a pace of it’s own—slow, and it hasn’t kept up with the times. There is still an old fashioned general store and the place operates like it may have 100 years ago, but with all of life’s conveniences. Why doesn’t Chase like the idea of Piper building an upscale resort on his island? Chase believes that a resort will bring a lot of tourists to the small island and destroy what he loves most—the peace and quiet. To make matters worse, the property to be developed abuts his. Chase and Piper may be at odds when the reader first meets them but it’s obvious they’re experiencing a growing attraction to each other. As the author, share a glimpse into their minds. What are they thinking? Piper can’t figure Chase out. He clearly doesn’t want the resort on the island, but he’s willing to help due process along and even sets up a meeting with the town council for her to pitch her idea to them. Although Chase is against the resort, he sees how much it means to Piper and that she truly loves the land. She even went so far as to scale back the plans to better fit the island. He appreciates her obvious love of the island, but is torn between wanting everything to stay the same and accepting progress. He wants Piper to stick around, but if he succeeds and stops the development, she will be out of his life forever and if he fails, the island will never be the same. Why does Chase feel that if Piper builds her resort, his life will be “altered forever”? A resort will change the island. Wildflower pretty much lives in the past. There are few modern buildings or businesses. People take the ferry to the mainland if they need something other than the basics. For the most part the island is undeveloped and since Piper’s family owns half the island, a resort would dramatically alter the landscape and personality of Wildflower Island in his opinion. His quiet escape from the city would no longer be the same, especially since her property is next to his. Now for the classic question: Can Chase live without Piper? Can Piper live without Chase? Explain as much as you can without giving away the story. Yes, they can live without one another, but they don’t want to. That’s all I’m saying. What did you enjoy most about birthing this book? I tried something different with this book and included two additional points of view. I included Nick and Zoe from Island Refuge. 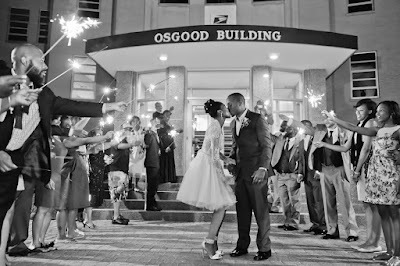 It was a lot of fun to bring them into this story and continue to follow their love story. If you could spend one hour with Piper or Chase, who would you choose and why? Explain what you’d do with that time. Nothing against Chase, but I’d choose Piper. She is such a strong woman, I think it would be fun to just listen to her talk shop. I think she would be inspiring. What’s next in the Wildflower Island B&B Romance Series? Island Christmas, the final book in the series releases in October. I’m very excited about this story as the series comes full circle when Rachel Narrelli from Island Refuge returns to the island. Kimberly Rose Johnson, soon to be empty-nester, lives in the Pacific Northwest with her husband and their yellow lab. Island Refuge is her sixth published book and the first in a series of three. Kimberly enjoys long walks, chocolate, and mochas, not necessarily in that order. #WFASummer Series - Week Three - Shoes of Peace from Going Beyond on Vimeo.